The product category for side mounted concealed deck fasteners has grown so much over the past ten years that it is harder than ever to choose the right connector for your job. But luckily most of them are for specific types of wood or deck material like composite or grooved boards. 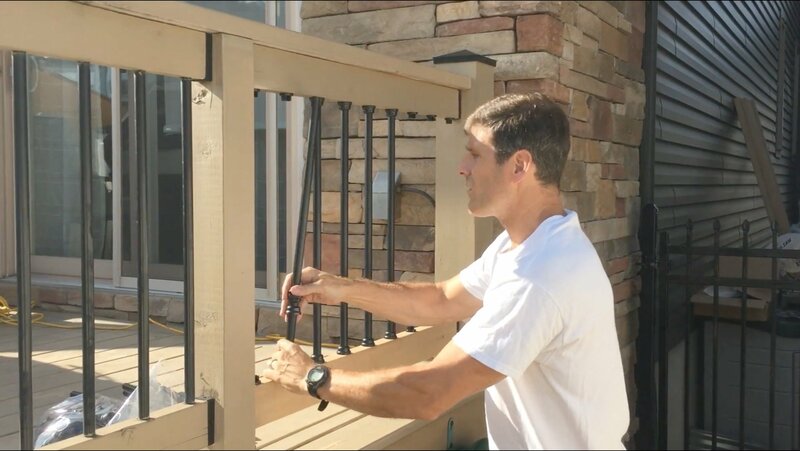 You can start to narrow down the right clip by first knowing the hardness of the wood or decking and its side profile, grooved or ungrooved. 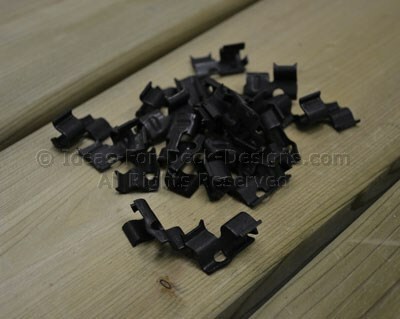 The fasteners shown here are for grooved Trex composite decking and are called the Hideaway. Made of stainless steel with a black oxide coating they are exceptionally durable and practically invisible between boards. Let's start our comparison based on whether you are going to use ungrooved boards or grooved. 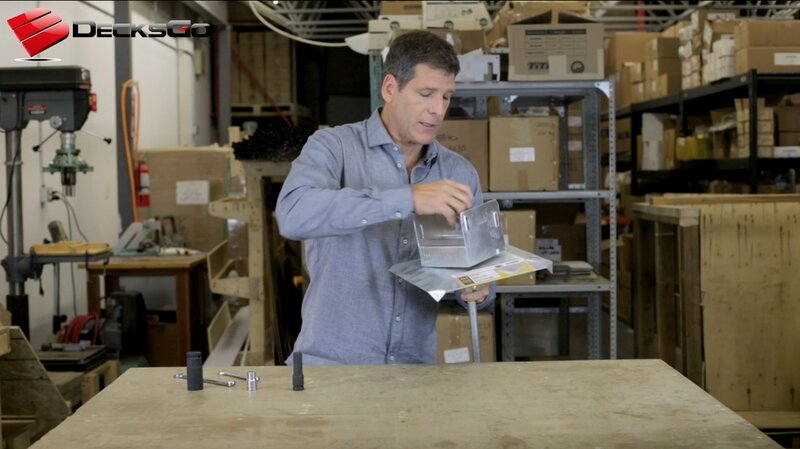 No matter which one you choose, these types of hidden fasteners are fussy and take more time to install - except for the new types that use a pneumatic screw nailer. But you don't have to reach underneath to use them like some of the fastener tracks. The final thing to consider when using a hidden clip system is that the boards are never as securely attached as in top down screw situations. Don't worry. 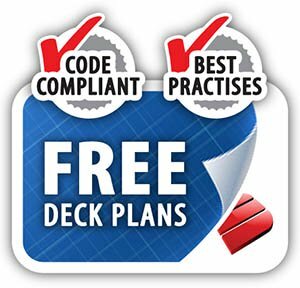 Your deck will be fine. However you must understand that some movement may occur over time. So an adhesive between the joists and boards is sometimes recommend. And if you need a very stiff deck you may have to use cross bracing under the joist system. But the end result is a beautiful deck surface with no visible fasteners. This style of concealed deck fasteners pierce the side of the board. A screw goes through the hole in the center in a toe nail style. Tigerclaw has a number of different types of fasteners designed for all the different densities and physical characteristics of the boards. They now also have an air nail system that is amazing which speeds up installation incredibly. Cost is between $0.50 to $0.90/sqft. This is where the choice gets interesting. 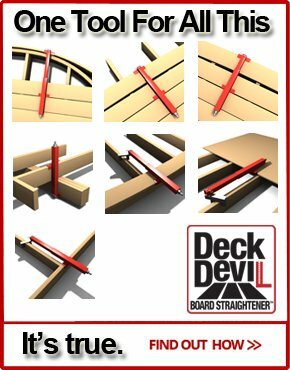 The Deck Clip is a little piece of stainless steel, specially designed to be hidden nicely between a very tight 3/32" gap between hardwood boards. 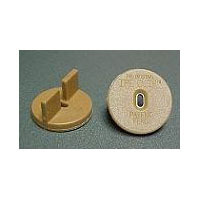 Be sure to get boards which are grooved exactly for the dimension of this fastener or you will not get the tight high peforming connection you are looking for. 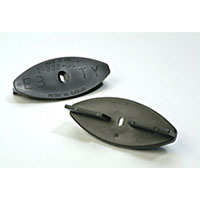 EB-TY are side mounted clips made of polypropylene and are not really for "grooved" boards. You just use a biscuit joiner with the correct radius cut and it's quite easy to do. 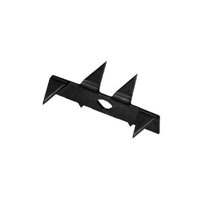 They have different gaps sizes of 3/32" or 1/4" and also an expansion feature. A good glue is recommended to really prevent squeaks over time. 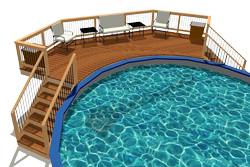 But the deck will look great. This little gem has been around for a while. 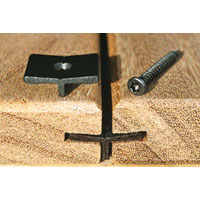 The Ipe Clip is one of the original hidden wood deck fasteners and had a molded plastic and fiberglass exterior with a stainless steel center piece. This allows the plastic to be tinted in a variety of colors and tones. 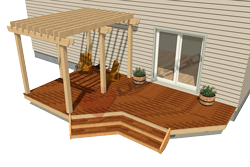 But it is designed to be strong so it excels with the tough decking like composite, hardwoods and pvc. 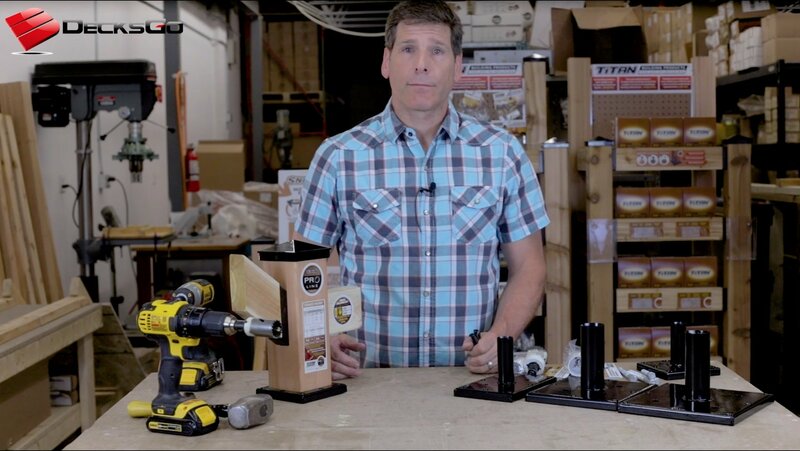 You don't need to buy groove boards to use these hidden deck fasteners either. A biscuit joiner will do the trick. 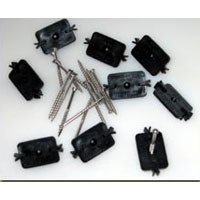 But the thing about the Lumberloc clip is it is designed specifically with expansion and contraction of boards in mind. 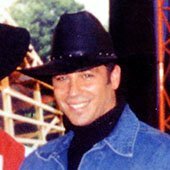 Its unique enough that a patent has been granted for it. 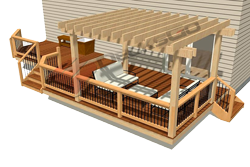 And it will work well with hardwoods, composite of plastic decking. 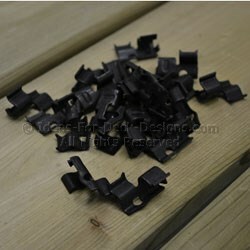 Hideaway is a specially designed concealed deck fastener for Trex grooved composite decking. So the dimensions of the clip fit perfectly with the manufacturer's boards. 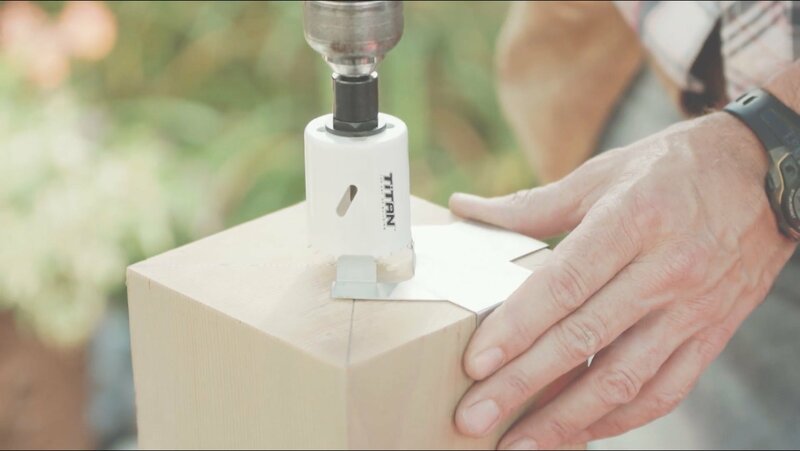 Or you can buy a special groove cutter that will prepare wood boards to work perfectly with it as well. 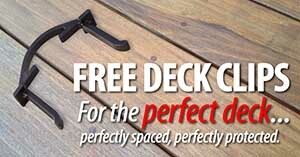 What Decking Fasteners Will You Choose? 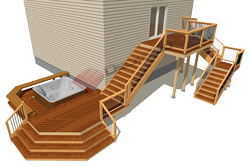 The selection of hidden deck fasteners for decks is large but you should be in a good position to make the right choice in terms of cost, materials and the style you are looking for.